Every Halloween, AMC runs their annual Fear Fest programming of horror movies. I look forward to it every year and really enjoy it. 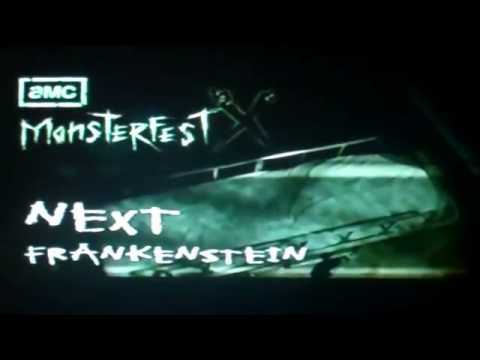 Prior to being called Fear Fest, they called it Monsterfest. I guess Fear Fest sounds better when not every horror movie they show has a monster. 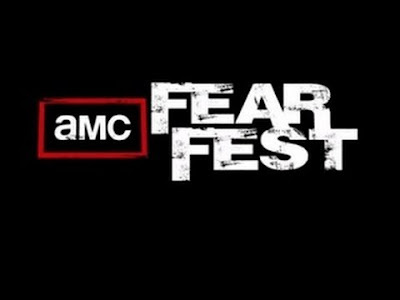 Not to mention, Fear Fest is pretty much an all day thing (aside from when it's time to show an AMC original series), while Monsterfest was pretty much a nighttime deal. 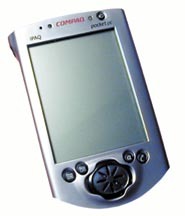 During the 2001 Monsterfest, AMC ran a contest where you could win a Compaq iPaq pocket pc. At the time I was just out of college and working at Office Max still, and under the assumption that a pda was more than just a fancy Day Runner (it was just a fancy Day Runner as time would prove). That year, Monsterfest would show a particular movie each night for a week, after the movie on the AMC Monsterfest site, the official You Don't Know Jack Monsterfest game would update with that nights movie. I'd login and humor the You Don't Know Jack's annoying voice and play. 500 high score winners would get the iPaq. Oddly enough, you could play as much as you wanted to and your final score for each night would be your score for that night. So I'd play until I had a perfect score each night in hopes of winning that cool pocket pc (literally, it was just a fancy Day Runner). The contest went for a week and ended after Halloween. Each night I had a perfect score and was counting on less than 500 people playing (I have no clue why I assumed that). Sure enough, within the following week I got a certified letter telling me I won the iPaq. WOO HOO! A lifetime of horror movies had finally paid off! Inside the envelope had all the details of what I needed to do to get my prize. Which was have my signed copy of the winning notification notarized and Fed Ex'd (they paid for that) back to them. It was the first time I ever heard of a notary and had to ask around to figure that out. Turns out I could have someone do it at my bank. Got my stuff all set and dropped off my envelope in the Fed Ex mailbox at the front of my Office Max workplace (literally the only time I've sent something Fed Ex) and waited. Sometime before Thanksgiving my iPaq came and I was super excited to get it. Then promptly spent a week realizing it was just a fancy Day Runner. I learned how to download various newspapers and magazines to it and... wrote my weekly shopping list on it. But hey... I won it by knowing Jack about horror movies!